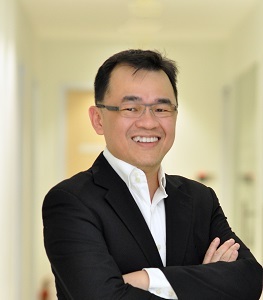 Vertiv has named Teoh Wooi Keat as the new country manager for Malaysia. An industry veteran, Wooi Keat will be responsible for leading the organization to ensure customers’ demands are met across all industries. Aside from leading the overall business in Malaysia, Wooi Keat will also provide support and guidance in strengthening the local channel business, as well as collaborate with the regional products and solutions team to drive Vertiv solutions to a bigger market. “As we continue to leverage on our expertise in providing solutions for edge deployments, internet of things and – soon – 5G, it is critical that we have the right team in place to work closely with our customers to understand their unique needs. In today’s evolving technology climate, there is no one-size-fits-all approach. With Wooi Keat leading the Malaysia business, I am confident that we will be able to solidify our position as the preferred partner for critical infrastructure solutions,” said Paul Churchill, vice president for Southeast Asia, Vertiv. Wooi Keat replaces Hitesh Prajapati, who has been named country manager for Vertiv in Singapore. For more information, visit www.Vertiv.com.